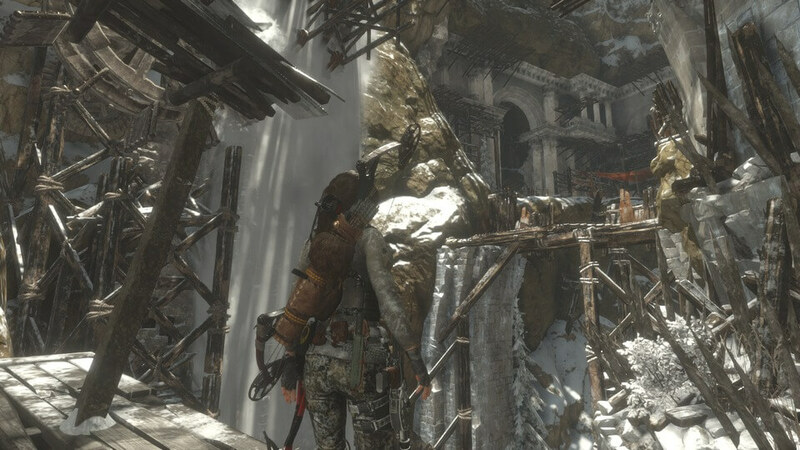 Rise of the Tomb Raider is no stranger to supernatural phenomena, although it's not entirely the focus until later on in the game. Conversely, its first story-based DLC, “Baba Yaga: The Temple of the Witch,” dives headfirst into the supernatural almost immediately and remains a constant source of influence. Filled with hallucinations and strange happenings, it’s perhaps the darkest and most mystifying angle of Lara Croft’s rebooted story so far. However, while it may be a refreshing new direction, it’s not one that lasts for very long. “Baba Yaga” is based on an actual supernatural being of the same name in Slavic folklore. After doing a bit of research on the topic upon completion of the story, I was appreciative to find that specific examples of this folklore are faithfully represented. The story unfolds much like an optional mission would. After rescuing a Remnant woman by the name of Nadia, Lara has the option of helping her to locate her grandfather, who has gone missing after traveling to the Wicked Vale on a mission to kill the mysterious witch, Baba Yaga. Since this new story exists within the base game, you’re free to tackle it right away, or backtrack to other areas of the map and deal with it whenever you please. The Wicked Vale is shrouded in mystery and is indicated as a place that’s normally avoided more than once. A strange pollen emitted by flowers in the area causes extreme hallucinations, making it that much more problematic to determine what is real and what’s an illusion. These portions of the story are the best by far as they create an enjoyably creepy atmosphere that hasn’t been tapped into before. As a result, the foes that Lara faces are even more monstrous than the Deathless Ones. There isn’t much of a story here for those looking for another significant step in Lara’s timeline. In contrast to her role in Rise of the Tomb Raider, Lara feels more like a secondary character in Nadia and her grandfather’s story. Sure, Lara is the one to ultimately face off against Baba Yaga, but it feels more like mercenary work rather than a mission with a purpose. 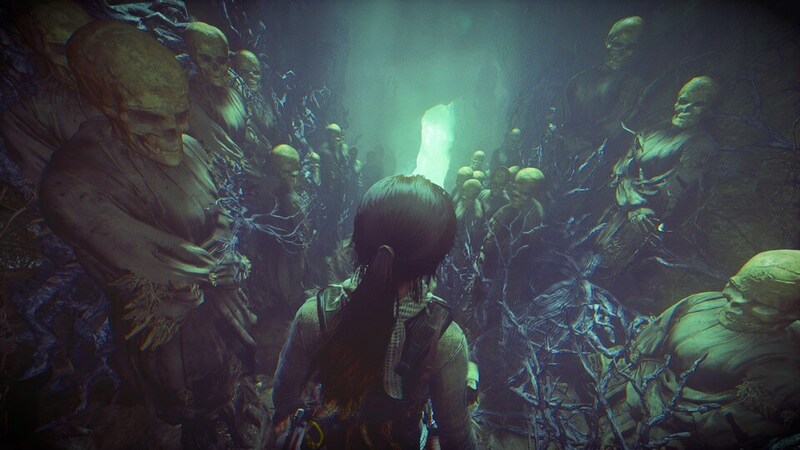 Lara does have more flashback moments of her father during hallucination sequences but, unfortunately, it doesn’t continue to explore their relationship in depth. Players won’t find unfamiliar gameplay mechanics here. It’s very much a case of more of the same, but that’s not a bad quality by any means. The puzzle-solving portions are just as clever as those that have come before, with a specific example being a section that heavily involves a system of ropes, pulleys, and platforms to navigate to a higher elevation. Mixing in the hallucinogens, the story culminates in an awesome boss battle that takes place in a circular multi-tiered ruin and challenges players to tackle many of the game’s mechanics simultaneously. All the while Lara has to continually remind herself of what she believes to be real and what is just hallucination. There are no new challenge tombs to explore in “Baba Yaga,” which is one of the bigger disappointments of the DLC. 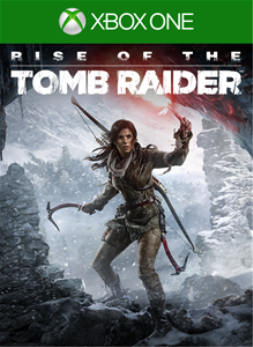 Rise of the Tomb Raider did such a great job to pump in more tombs, puzzles, and general parkouring to even out the ratio of exploring to combat, that it seems strange to not even add a small tomb to reward the player with a new outfit or weapon. You do receive both of these, the Wraithskin outfit and the Dreamstinger bow, after the final battle, but it would have been better to actually discover one or the other rather than just receive it as a spoil of victory. Again, since “Baba Yaga” does take place inside of the base game, you can use both of these new items whenever you want, even after the story is complete. The "Baba Yaga" DLC should only take most players around three and a half hours or less to fully complete achievement-wise. The Wicked Vale is a small and linear area, and a portion of the story circles you back to the Soviet Installation section of the map. Many of the achievements are based on natural story progression once again and gathering the collectibles. Fortunately, the number of collectibles to snag is very reasonable. Then there are achievements tied to getting kills while wearing the new Wraithskin outfit and for confusing enemies with the Dreamstinger's hallucination darts. You'll also need to earn a Gold score on the two Score Attack maps, but don't worry, they are much easier than those from the main game. Rise of the Tomb Raider’s “Baba Yaga” DLC is a relatively short return to Lara’s adventure, but an enjoyable one nonetheless. While the story doesn’t quite hook you as much as that from the main game, and the lack of a new challenge tomb was disappointing, you'll still be glad that you had the chance to return to the Siberian wilderness. Once again you'll find yourself wanting the next piece of Lara's story. The reviewer spent three and a half hours exploring new terrain and circling back to familiar territory. All 22 of the achievements were unlocked during that time. The reviewer purchased an Xbox One copy of this DLC for the purpose of this review. Writer of news, features, and reviews for TrueAchievements since June 2013. Discovered the incredible world of video games at a young age with Desert Strike: Return to the Gulf, and haven't looked back since. Outside of gaming, I'm usually found reading up on various history topics or rooting for the lowly Buffalo Bills and Sabres.